I just got a new computer so the only software I have is Audacity for recording vocals I download free beats online and just kind of try to make up lyrics which Im terrible at but I really love music more than anything in the whole wide world so I try anyways. I also used to enjoy graphic design using adobe photoshop which I dont have at the moment but hopefully will be downloading soon. Can anyone tell me what all I need to get started in music production just like a bedroom studio set up nothing fancy the software and equipment. thanks. For Graphic Design, if you want to use freeware, GIMP is amazing for what it is. I'm a semi-professional musician and it all depends on what you want to do. People who do electronic music can get away with nothing but software, and a monitoring headset. 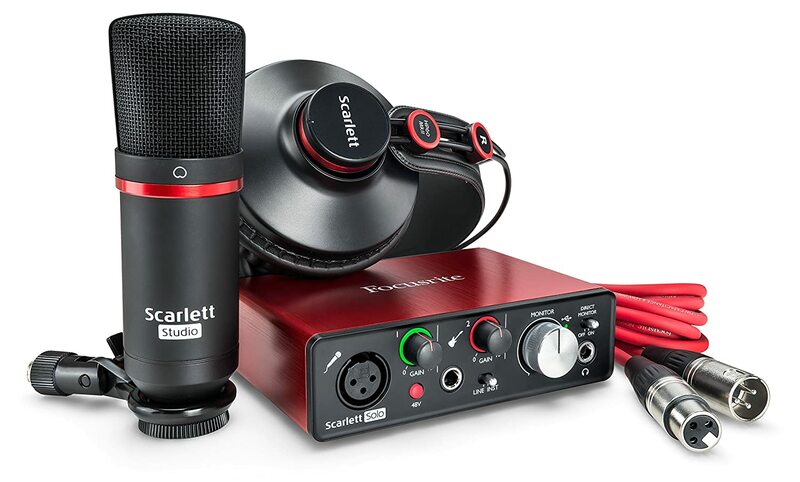 However if you're planning in recording vocals, my best advice is to invest in a recording interface, such as Focusrite's Scarlet Solo, which can also come in a pack with a good quality microphone, a cable and even a decent monitoring headset. You'd need to add a mic stand, a suspension for the microphone, and a pop filter, which aren't too expensive on their own. You should also consider some acoustic treatment foam if your designated recording room is too echo-y. Can you give me the links to some trackers? check my writing here,check out mask of the blue demon. this video i love as it kind of reflects how i have lived the past few years,hidind in a "Jumpsuit" kind of. 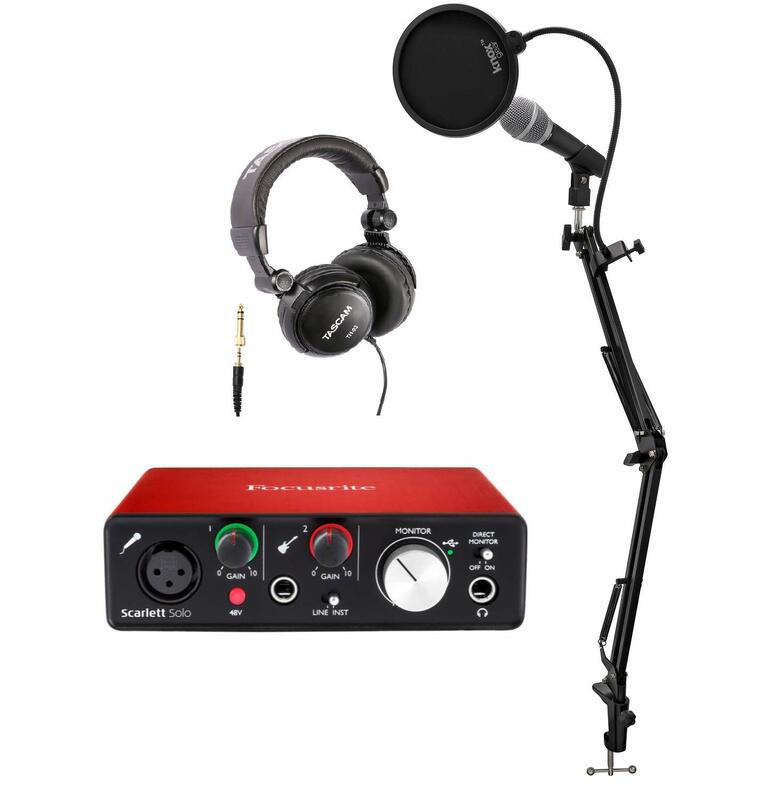 Focusrite Scarlett Solo USB Audio Interface (2nd Gen) and Pro Tools Bundle With Recording Microphone, Headphones, Knox Studio Stand Pop Filter, and XLR Cable Im ordering this! Thanks for the help Sean R.R. All times are GMT -8. The time now is 05:12.